This year has just flown by. I’m sure you’re all feeling just as ready as I am for summer break! I wanted to share this amazing experience I had in a classroom in Terrace BC earlier this month. Lisa came to a workshop I presented in Terrace 2 years ago and that workshop started her on a journey to transform her math class. She dove right in and began to immediately see changes in her students and so kept trying new things. I experienced Lisa’s classroom first hand and it was amazing! 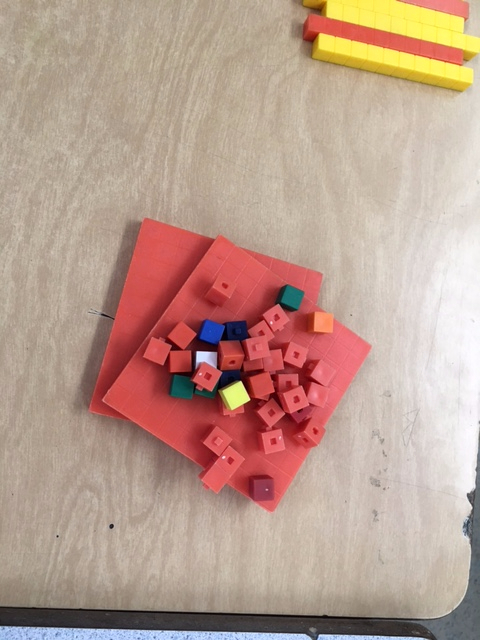 She learned how to use manipulatives to explore each concept by using Educating Now videos and reading books. She focuses on the big ideas and concepts rather than on how to do procedures and the magic happens – Lisa has transformed her math class and I was blown away by what I witnessed. She has also been surprised by what happened as she discovered that teaching math has become “a passion that I have not felt in my teaching career”, which is also what happened to me when I started teaching this way (and the passion grows!). 1.) Can do attitude towards math – These kids just kept on going no matter how many times they made mistakes. They puzzled and questioned and begged me for more challenging work. Because they weren’t plagued by self-doubt or frustration, they were so much better able to learn. 2.) They listened to each other and responded to each other as a true learning community. They said things like “I agree with Kate because….”, or “I saw it differently than Cole because….”. Active listening was a part of how they operated. It felt respectful and just plain awesome. 3.) They wanted to figure it out because they knew they could. This is a growth mindset. They didn’t give up and say (as I often hear) “can you just tell us how to do it”. I was introducing them to decimals for the first time and they wanted to figure them out all on their own…and they did! 4.) Because they had such strong conceptual understanding of fractions, they picked up the concept of decimals very quickly by relating decimals to fractions. Learning the big ideas and really understanding them visually (and being able to explain them) helps students to learn new concepts. 6.) She teaches and models a ‘can do/growth mindset each day. This means she doesn’t allow students to take the easy road by giving them answers that they can figure out. She gives them deep thinking tasks, rather than procedure focused worksheets. She provides feedback and nurtures their growth mindsets. 7.) She uses manipulatives and structured talk. A lot. This is how she teaches math. Students know the WHY as much as they know HOW and WHEN to apply it to solve problems. They can talk about their understanding, show it and teach it to their peers. 8.) She models for them a genuine wonder and love of math and that creates an entire class filled with kids who LOVE math. Just as students pick up on and, sadly, mimic a teacher’s dislike, discomfort or anxiety for math (there’s some interesting research on this here), they also mimic when they see and feel the passion of an educator who loves math. Here’s the really cool thing….this love of math education is quite new for See below some examples of building 2.37 in many ways and naming them properly. I also want to note that in the 3 days that I was teaching in this class, students only wrote down a few things. Most of the lessons were introducing the concept of decimals and so we focused on language and visuals (see the short video). Then we paired the language and visuals with symbols. I mention this only because one of the things I see often is a rush to procedures and symbols in math. Understanding decimals doesn’t mean knowing how to write them, but rather knowing what they represent. Take a look at some of the pictures and listen to the video to see what we were doing (we used the flats as 1 whole). 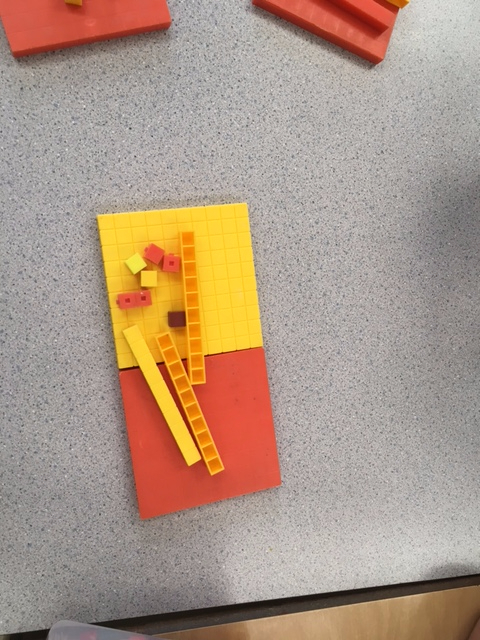 Students found many ways to show 1.37. 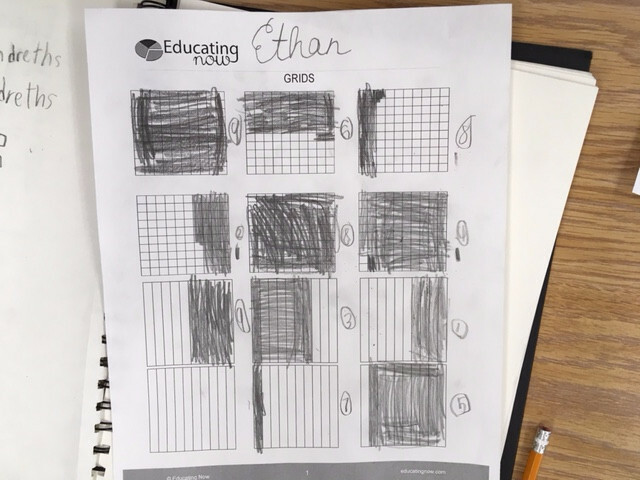 On day 3 we used grids instead of blocks to represent decimal numbers. Print the lesson plan and try it in your classroom. Even experienced teachers find this useful as it reminds them of the important language and activities they can do to help their students really learn. Sign up now for lifetime access to Educating Now. The current price for Educating Now is a great deal and will be rising sometime in the next 2 months – so sign up today and transform your class starting in September! 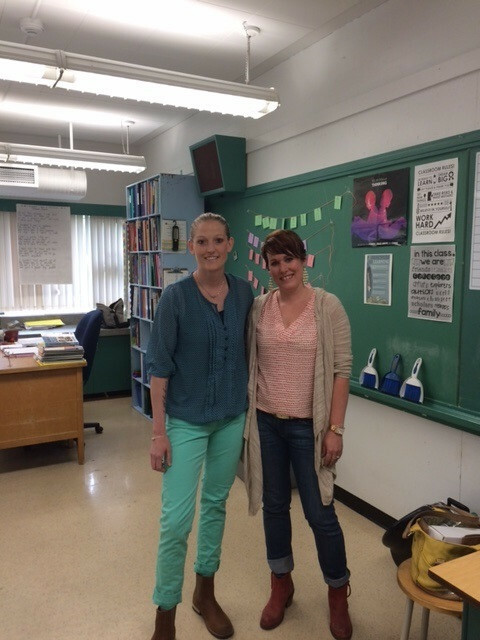 Finally, thanks to Lisa for opening her classroom to me and for inspiring me with her teaching practice and passion!